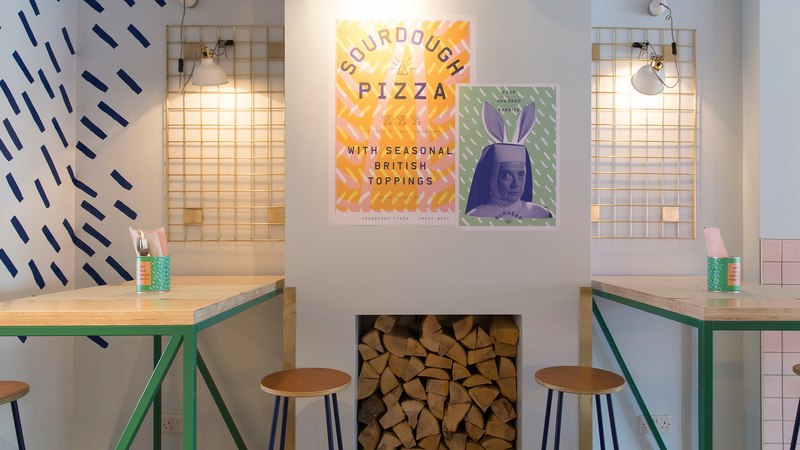 400 Rabbits – a buzzing, Pinterest-worthy modern sourdough pizza joint on Evelina Road – is the kind of neighbourhood restaurant that's worth a bus, cycle or schlep on the Ginger Line to South East London. 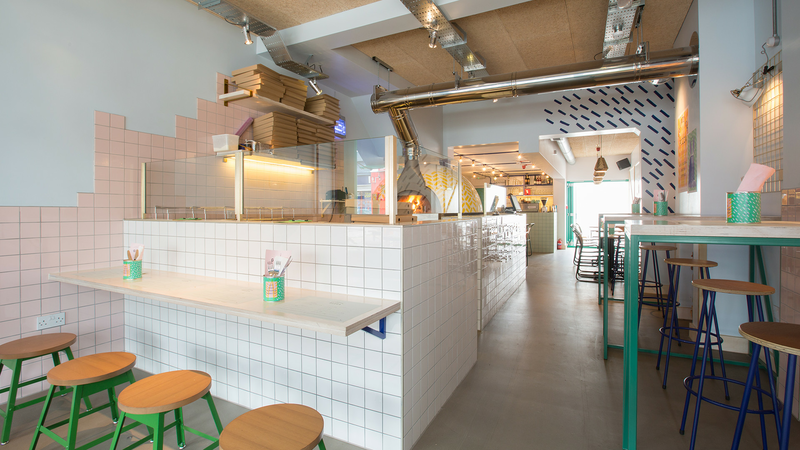 Each month the pizzeria teams up with some of London's hottest producers to create one-off specials: think Argentinian-style spicy red chimichurri and Malbec-onion pizza from Up in my Grill; Zoe's Ghana Kitchen's spiced peanut and jollof-nine-spice ground lamb special; and an epic vegan collaboration with Thai street food trader Greedy Khao. You get the picture. 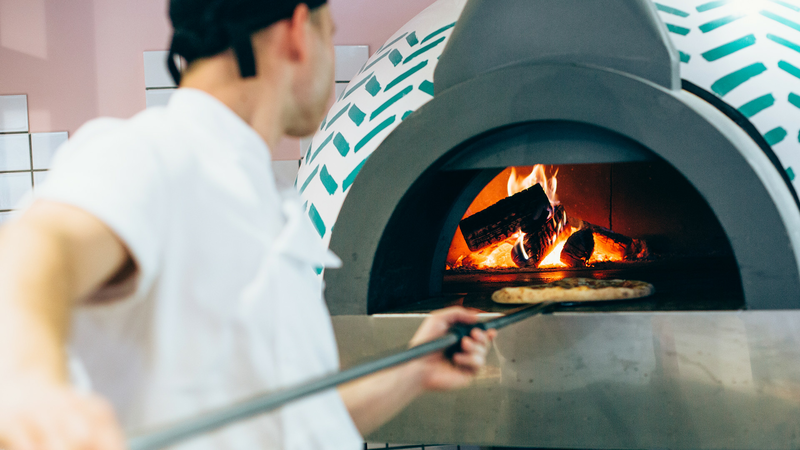 400 Rabbits is ferment-forward, by which we mean it specialises in sourdough pizza and beer. Everything on its regularly rotating tap list is served in schooners (or 2/3 of a pint, for those who don't speak Aussie). For something light and mild mannered, but strong enough for a spiced-up slice, turn to the Wallbanger Witbier from Hackney brewer Pressure Drop. 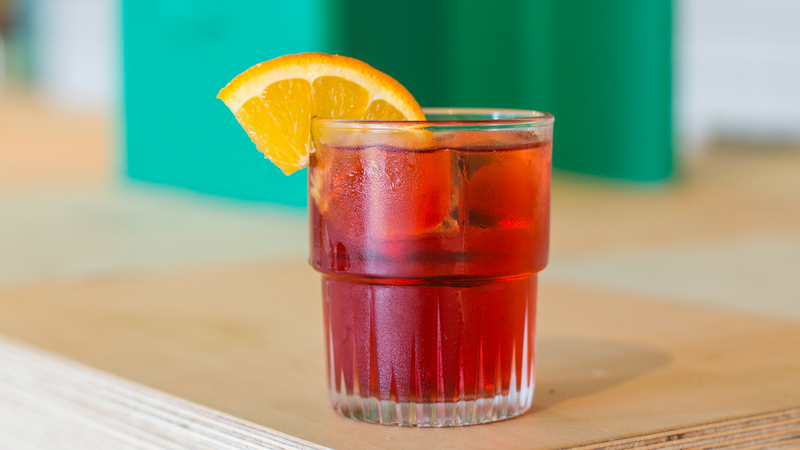 Or, you're in the business for something a little sharper, we're pretty sure 400 Rabbits might just lay claim to one of the cheapest negronis in London – at £4 a pop, they ain't a bad way to go either. Do it right by diving into one of the restaurant's boundary-pushing specials, throw in some scorched padron peppers and Cannon & Cannon's charcuterie beer sticks for good measure and don't forget to leave room for a 'beeramisu' dessert pizza, made with Beavertown's Holy Cowbell Stout and Allpress espresso. That said, you can do no wrong with a tried and tested, tangy anchovy pizza, especially when there's salty Lilliput capers scattered all over it. And as special as the specials board is, the creative combinations also find their place on the classics, too. Rhubarb and radishes get a (seasonal) look in and the idea of chipotle-rolled goats cheese on a wood-fired pizza almost had us if it hadn't been for the sound of Greedy Khao's massaman-spiced chickpea, jackfruit and pomegranate creation. 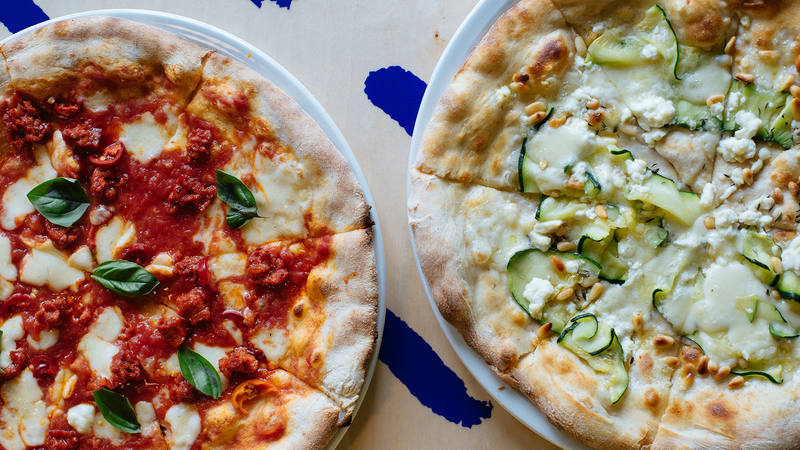 Yes, chickpeas and pizza definitely do work. 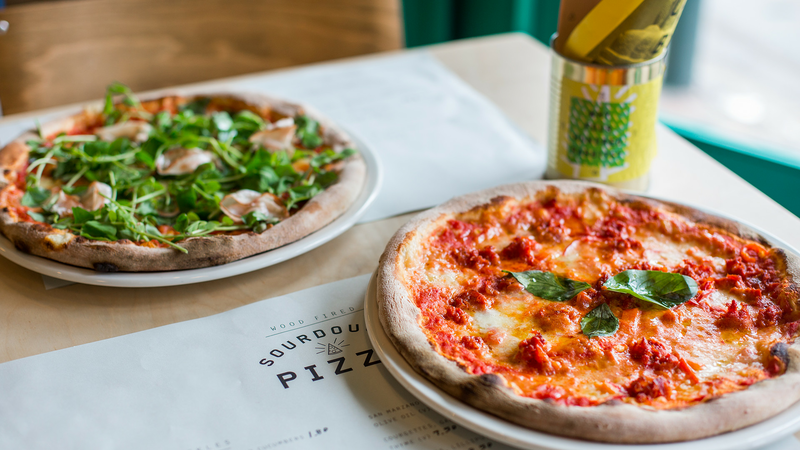 We reckon this is some of the best sourdough pizza we've had in the capital and, given that we hosted an entire day dedicated to the stuff, we've surely surveyed enough slices to say that.